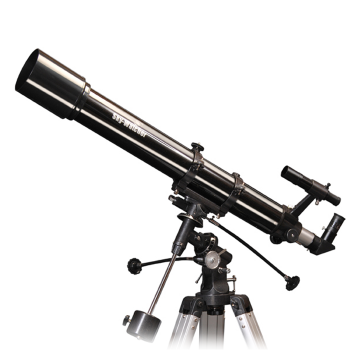 The Sky-Watcher EVOSTAR-90 (EQ2) telescope is a classic two-element, air-spaced, achromatic refractor. It is an outstanding, high-performance, high-resolution instrument manufactured to high standards of optical and mechanical precision. 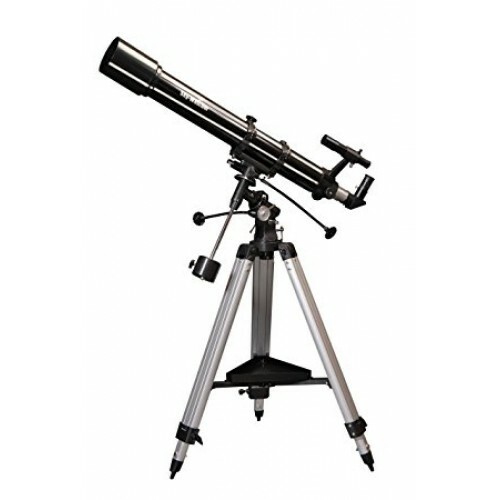 With its long focal length and breathtaking, diffraction limited optical performance, it is ideal for the detailed high-power study of the Moon, Double-Stars, Planets and other objects in our solar system, providing crisp contrasty images. Supplied with the EQ2 equatorial mount, which when polar aligned, will allow you to easily track objects as they move across the night sky via its slow-motion control cables.